Tap tap tap tap tap. Tap tap tap tap. The sound of sharp boar’s teeth hammered onto my flesh was surprisingly therapeutic. I felt a wonderful calmness while my husband and a fellow Filipinx American hand stretched my skin and my mambabatok left these permanent soot marks symbolizing powerful ancestral messages. Receiving a hand-tapped tattoo felt like a healing, a massage, a “letting go and finding yourself” process. 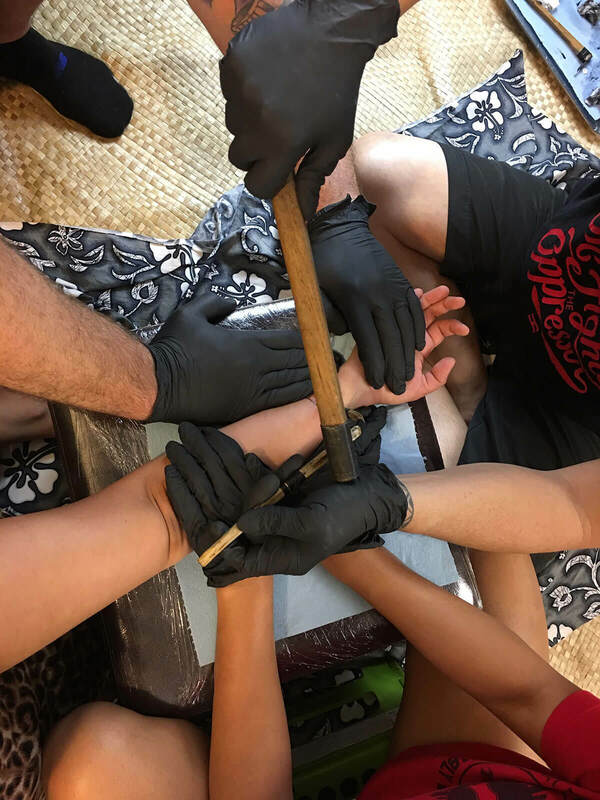 Hand-tapped tattooing looks and sounds painful, but many say it hurts far less than the modern tattoo handgun. 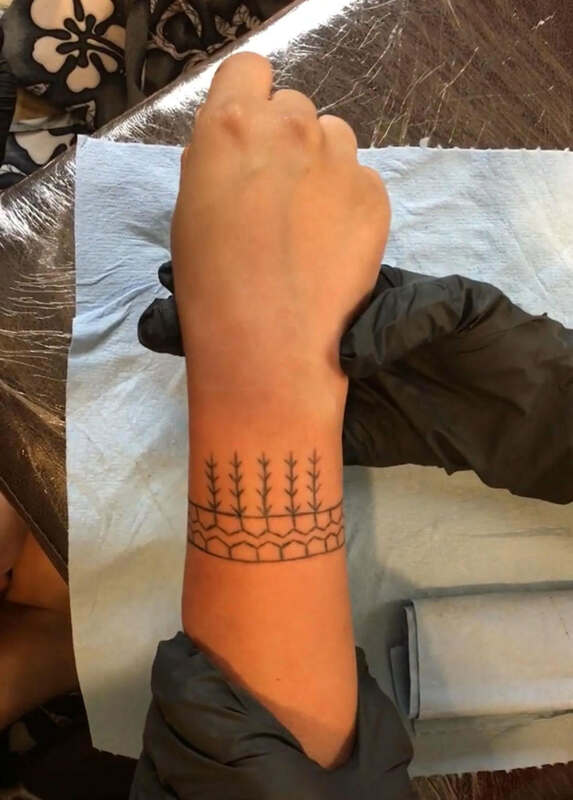 I would go even further and say that receiving a hand-tapped tattoo felt like a healing, a massage, a “letting go and finding yourself” process. But as someone who came from the islands that were once called Las Islas de los Pintados, or “The Islands of the Painted Ones”, it took quite a bit of time before I even found out about this Filipinx practice. It was more than likely that all our indigenous Filipinx ancestors were covered in tattoos. Some weeks before I received my batok, one of my Titas suggested I look into Babaylans (indigenous Filipinx spiritual healers, an egalitarian community) for my Black and feminist theology paper. So there I was working on a paper and searching for Babaylans. 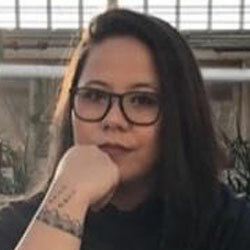 Within the first few pages of Virgil Apostol’s book “Way of the Ancient Healer” is a picture of Lane Wilcken, one of less than five Filipinx ancient spiritual and ritual tattoo practitioners (mambabatoks) in the world. It piqued my interest. I have three fairly large tattoos, and my Filipinx family would say that tattoos are for criminals and prisoners. Yet this man was telling me that it was more than likely that all our indigenous Filipinx ancestors were covered in tattoos. I’m a Filipinx American in my mid-30s. Why hadn’t anyone ever told me? I quickly looked up every video I could find about batoks (not many out there), even ordering Wilcken’s book (the one and only about this subject), “Filipino Tattoos: Ancient to Modern”. Through this research, I learned that this is a lost and dying art — no wonder my family didn’t know anything about it. The day I received my batok ended up being pretty special — more than what I had imagined or expected. I learned a lot about my Ilokano-Itneg Tribe and Tagalog roots, and we connected with them through Manong Lane’s chant in Ilokano, food offerings to my ancestors, silent prayers, and tattoos. It was such an incredible honor to be around him, my ancestors, and my husband. Then there were other fellow Filipinx Americans who hosted Lane’s stay, helped hand-stretch my skin through the process, and were there for support. It was a community coming together, a connection made, a practice rooted in solidarity. Overall, a life-changing and beautiful experience! Spaniards forced Filipinxs into Catholicism and our tattooed ancestors who refused to convert to Christianity fled and hid deep in the mountains. But of course, a part of me wondered why batok is a forgotten aspect of Filipinx history. I read in Wilcken’s book that Spanish colonizers basically wiped out this centuries-long practice back in the 1500s. Spaniards forced Filipinxs into Catholicism and our tattooed ancestors who refused to convert to Christianity fled and hid deep in the mountains. Now, about 80 percent of Filipinxs are Catholics, and tattoos are negatively stereotyped. I asked myself if and why Christianity rejected a part of our culture. What this meant for me was not knowing who my ancestors were, my own history, and even my own self for some time. These ancient tattoo symbols are rich with stories, wisdom, and knowledge from my ancestors, and I had no idea. Christian colonizers erased this huge part of me, communicating that Christianity only accepts certain cultures, certain parts of a person. Christian colonizers erased this huge part of me, communicating that Christianity only accepts certain cultures, certain parts of a person. Being a descendant of both the colonizers and the colonized, I had to make peace with this. It didn’t take long for me to decide at that point that I can accept and appreciate the parts I think are helpful, artistic, and inclusive. The fact that deeply meaningful symbols are passed down through generations via ancient tattoos is community-building, loving, and powerful. These permanent marks are positive messages that have been passed down, and remind people of who they are and where they come from. Whenever I feel sad, I look at my tattoo and feel less lonely, less isolated. It helps me in my spiritual path and spiritual geography, and that even though I’m in the United States — thousands of miles from the Philippines — I am still connected to my roots. I know these same symbols were also on my ancestors once. I remember them and am empowered by the meaning behind the ferns, mountains, and river they chose through my mambabatok to place on me, their descendant centuries later. My tattoo helps me in my spiritual path and spiritual geography, and that even though I’m in the United States — thousands of miles from the Philippines — I am still connected to my roots. But since western Christians played a hand in erasing a centuries-old practice that was spiritual and practical, why can’t we help in revitalizing the lost art of batok? We can learn and educate each other about these indigenous practices because it is a part of our past. Yes, some negative aspects of our history are a part of us, too, but we can learn from that as well. We can come together and find what’s lost in our culture and history because we have so much to learn, so many spiritually enlightening gifts to accept from them and pass down. I was lost for so long trying to figure out who I was, trying to make sense of the world, trying to see if Christianity was even for me. I questioned many doctrines growing up and I couldn’t separate some of the negatives from the positives. How could I accept something that I didn’t fully agree with and that didn’t fully agree with me? My love of Jesus’ teachings isn’t fully informed by white, male, heterosexual, westernized Christian doctrines. Nowadays, I have a better understanding of myself in terms of my spiritual journey. Along with being in a theology program, learning about batok has helped me reconcile and connect my roots, folk Catholicism, and American Christianity. My love of Jesus’ teachings isn’t fully informed by white, male, heterosexual, westernized Christian doctrines. Neither is it the hate-mongering perspectives of those who choose certain parts of the Bible to exert racist, homophobic, sexist, and ableist agendas. It is about a love that includes a combination of my own history, my own experiences in both the Philippines and the U.S., and what I’ve learned about the social activist who is Jesus. A moral and ethical Christianity wouldn’t reject roots, history, and positive spiritual and social practices. Christianity, at least for me, embraces what encompasses a person — their ancestry, their community, their history, their whole being. It is not dictated by one worldview, and it does not reject any worldview that is based on love for that matter. Nowadays, I have a better understanding of Jesus as someone who is in all cultures, in all races, and in all identities, including the ones that were practically destroyed and forgotten. Christianity embraces what encompasses a person — their ancestry, their community, their history, their whole being. I still can’t believe there are less than five practicing Filipinx tattoo practitioners in the world. I know Manong Lane is doing his part and then some. My hope is to help spread this wisdom and enliven this dying art through my writing. If it helped me make sense of myself, my sense of the world, and my spirituality, then I am excited as it might inspire someone to look up Filipinx ancient tattoos and draw meaning for themselves as well. May it help them through their spiritual journey as it has helped me. 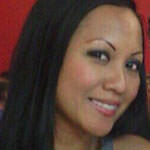 Natalia Roxas is a Filipina American creative based in Chicago, IL and founder of Filipino Kitchen. Natalia provides strategic direction for the organization. She is the primary architect of Kultura Festival, a four year old Filipino American food and arts festival and the organization’s largest event of the year, with over 1,000 attendees. Natalia is responsible for the photography that appears on the organization’s blog and Filipino Kitchen Instagram account, which has over 13,000 followers. Natalia is a food, travel and culture photographer, and her work has been celebrated most recently by the Field Museum, the National Mall of Washington DC and published in Teen Vogue, among others. She is a graduate of Full Sail University, and the Feet In Two Worlds podcasting program. Her work and photography can be found on the Filipino Kitchen website, and on her personal Instagram, @nataliawanders.